It was delicious, I wish you could all have had some! Before you ask I'm not sure what kind of apples they are because I inherited the tree with the house, I think they are Pink Pearl because they ripen in August and have pink flesh and green skin. I love them, they are too tart to eat fresh but they make wonderful pies. My info is that Pink Pearl is a Californian apple from 1944. 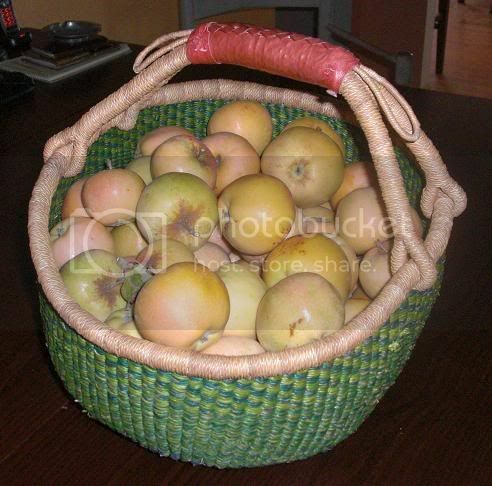 Its harvest date is late Aug- mid Sept. so you may be picking yours just a littl;e bit early. Next year leave a few on to ripen more and see if more suger developes. 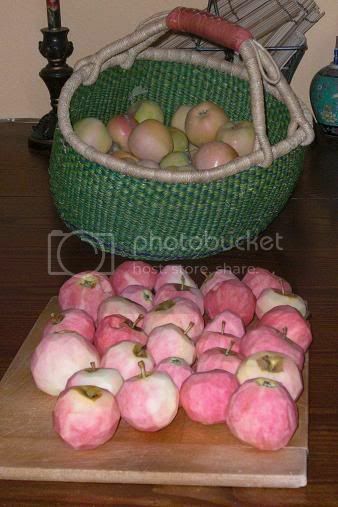 I think they are best if harvested when they are still too tart to eat fresh, they make great baking apples. 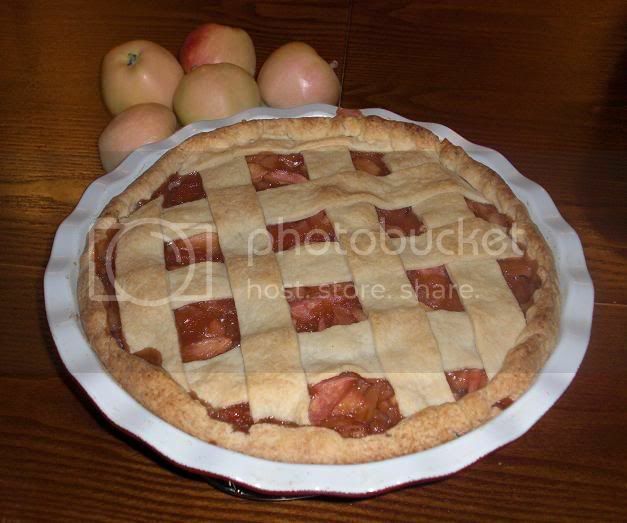 I have made a lot of pies with a lot of different apples and I haven't found one yet that has better flavor or texture than my pinks, but that could be because they are the first home grown apples I have been able to bake into a pie. Momo, those are beautiful apples. the peeled pink flesh apples look like a folk-art. Do you have any pie left?